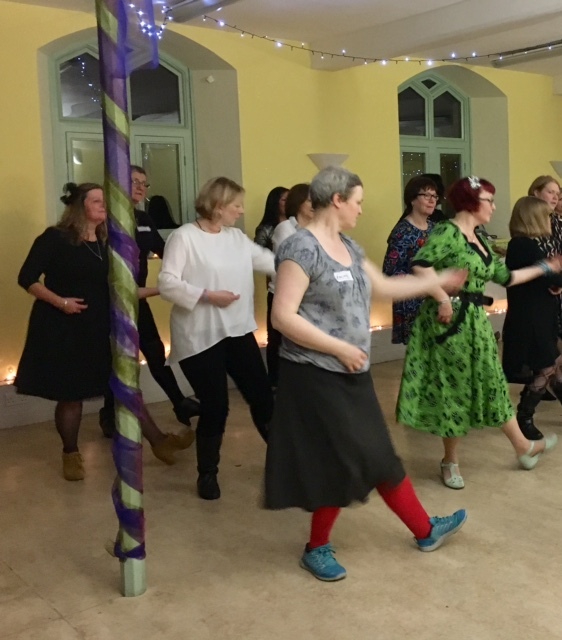 The November meeting was our annual group meeting with other local WI groups and we had visitors from N1, Stow Roses, Stone Rangers, East End and Stoke Newington. 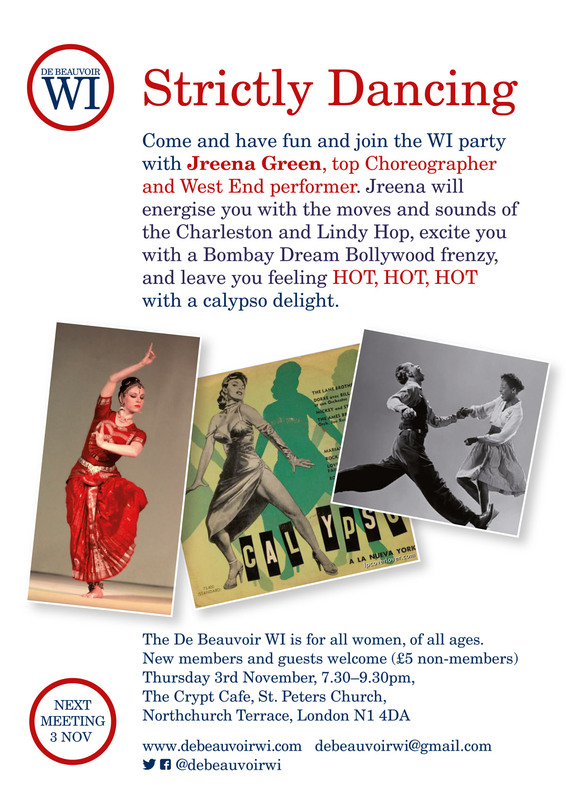 We learned how to lindy hop, calypso and dance to Bombay Dreams with top choreographer and west end performer Jreena Green. 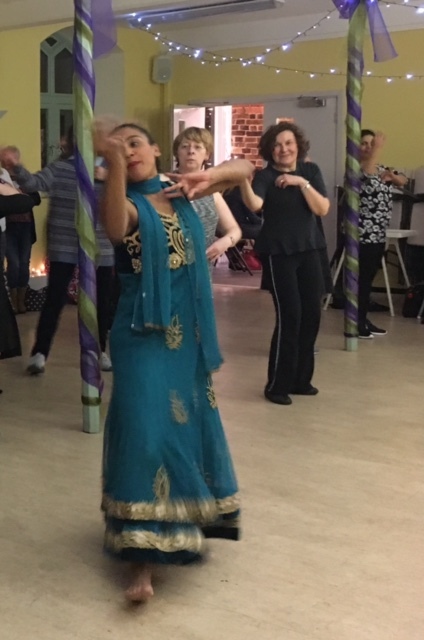 Jreena also works with the Green Candle Dance company who believe that everyone has the right to practice, learn, watch and appreciate dance, regardless of age or ability. 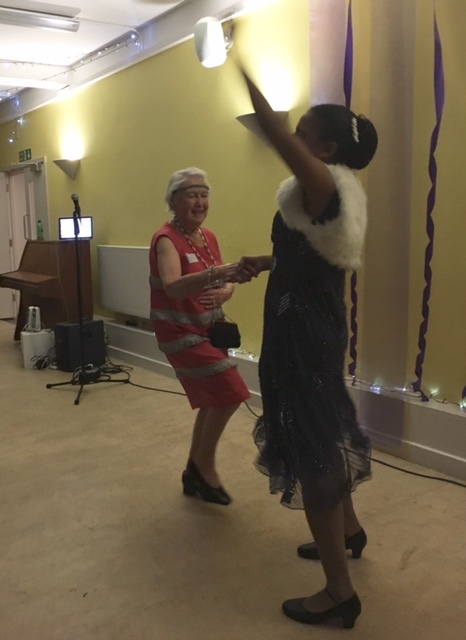 Their classes at Oxford House, Tower Hamlets include Dance and Dementia, Older Men Moving and Green Candle Senior Dance Classes. See their website for details.